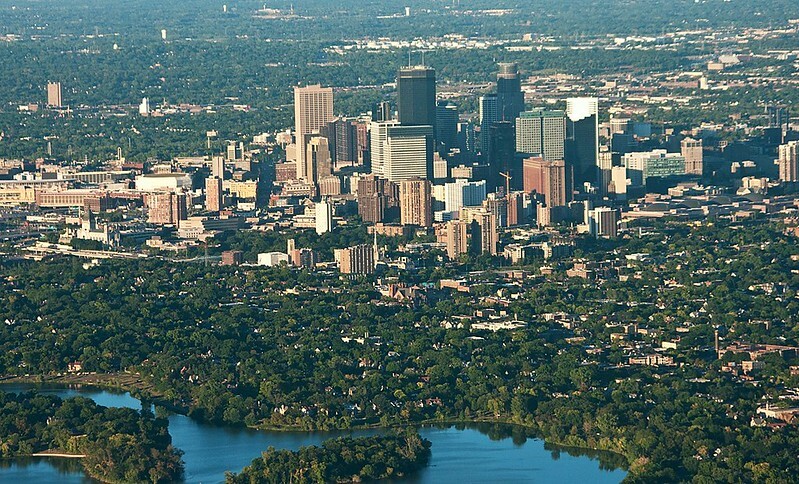 In a new YouGov poll that asked residents to rate the cleanliness of the 20 most populated metro areas in the U.S., Minneapolis-St. Paul and Dallas-Fort Worth both came out on top with 90% of residents that consider their respective cities "very clean" or "somewhat clean." Following Minneapolis-St. Paul and Dallas-Fort Worth, were Denver (87%), Orlando-Daytona Beach-Melbourne (86%), and Miami-Fort Lauderdale (84%). New York (74%), Philadelphia (71%) and Los Angeles (69%) rounded out the bottom of the list. YouGov is exclusively an online market research firm, however the exact methodology behind this poll is unclear. No matter the location or reputation of a city, resident happiness is only as high as the standard the city holds itself to — especially when it comes to cleanliness. According to a recent ACES survey, people living near well-maintained areas like parks are 14% more likely to show satisfaction with local police and 13% more likely to report satisfaction with their mayor. And, as environmentalism and sustainability become more important among residents, especially younger demographics, that will have a direct effect on expectations for city maintenance. While it is assumed that poll participants are rating city cleanliness on the prevalence of litter, illegal dumping and other trash-related "eyesores," the results of this poll are not wholly reflective of waste management systems in each city. In fact, New York, Philadelphia and Los Angeles have made some of the biggest developments in recent months when it comes to waste management strategies. L.A. has not only launched a comprehensive Clean Streets initiative, but it has also fully revamped its recycling system. New York and Philadelphia have also set benchmarks to reach zero waste. These types of waste management developments are not apparent in all cities, however. In a recent interview with Waste Dive, Ning Ai, an assistant professor at the University of Illinois at Chicago, said he's "disappointed to see how much money the Americans have spent on waste management services and how little attention they have paid to it." In addition to advanced pilots to address air quality and water treatment, the smart cities industry must work to make more advanced solid waste management a priority.